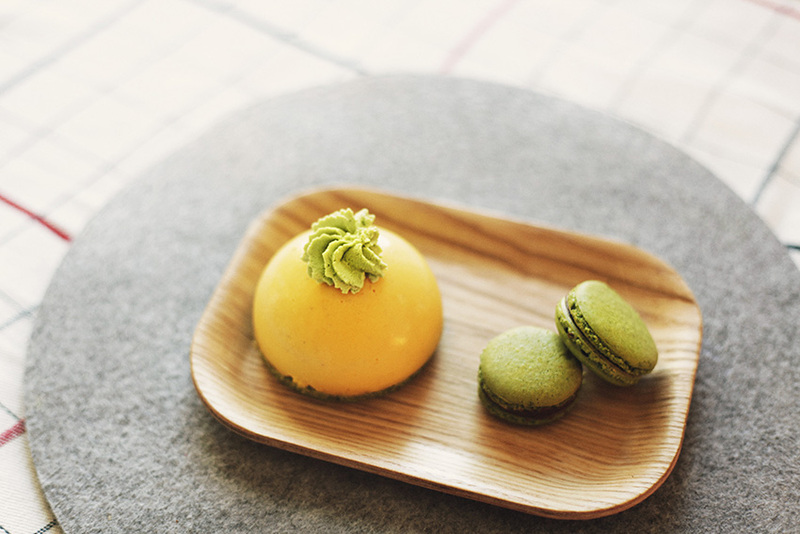 I joined a baking lesson for this ‘Matcha (green tea) and Mango bavarois’. After the lesson I have tried myself several times and ta-da! here we go, this is the result! Looks nice doesn’t it. 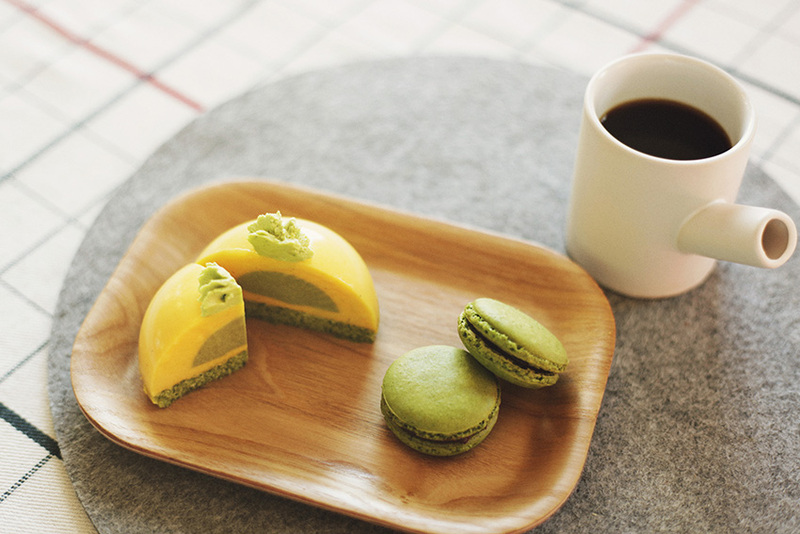 As the cake is made of Matcha, I thought my Serax cup will match the best because of its feel of Japanese-ness…. and I think I was right.